Green Island is exclusive and also ecologically harmonious with the Great Barrier Reef. There is a sensitive balance between the need of visitors and the protection of the environment that has so much diversity that it’s unique quality must be protected and saved for our future generations. This island is 45 minutes form Cairns Australia. Green Island is a small coral cay of 15 hectares and is surrounded by the beautiful Great Barrier Reef. But as small as it is there is so much that it has to offer. The accommodations are surrounded by a lush rainforest and views can be from this rainforest or the sea and reef. There are balconies that will invite you to sit and have a cold drink and relax soaking up these splendid views. Dining is no problem with many choices that will have you dining on some great food on an outdoor terrace, or maybe barbeque under the canopy of the rainforest. There are places to have a snack or maybe a hamburger after a morning of exploring Green Island. The afternoon is warm and you feel like a shake or Ice Cream that too is available at an Ice Cream parlor. Sitting and sunning yourself you get thirsty, no problem drinks are brought to you pool side, whatever your favorite drink, cocktail, beer, ice tea or even a soda. You’ll really be experiencing an island dream. There are free services to enhance the enjoyment of your stay. 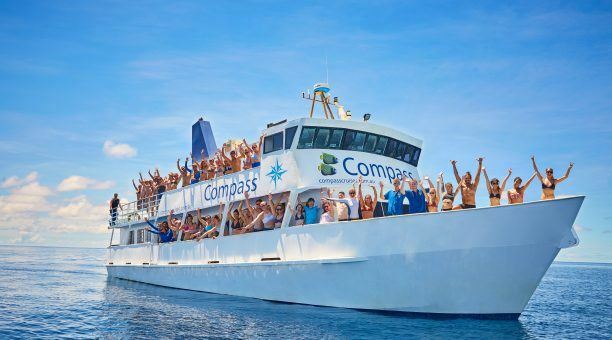 Glass bottom boat tours, guided night nature walks, snorkeling equipment and welcome sunset drinks. You can also fish every day or take self-guided walks. You have choices and a full day and night of fun. If you want to enhance your experience more, for a charge there are helicopter and seaplane scenic tours of the island and the reef. Great Barrier Reef tours and scuba diving for the certified diver or you can get lessons if you are new to the diving world. Also Sea walker helmet diving. If your whole family is taking this island dream vacation there is also the Marineland Melanesia Aquarium, Museum or Crocodile Habitat. You are thinking more of a little self-pampering, how about a massage and beauty treatment from the Club Spa. Whatever experiences you want on your Island get away it’s there just for the asking at exclusive Green Island that will invite you and give you all you’ll need to make your stay so special that you’ll be talking about it for a very long time.